Synopsis: In 2107, twenty-four year-old Gary Loman is disillusioned with life. There are scant opportunities in the capitalist world that surrounds him. When he receives a prestigious invitation, Gary knows that the change he has been waiting for has finally arrived; it’s a ticket to fame and glory as a skater. Leaving the old world behind, Gary embarks on a new adventure on The Island of Dreams, led by the world’s newest monarchy, where he is introduced to the woman who will become his wife and a wildly different social order, one which has evolved over the previous seventy years by virtue of a slow, quiet and largely unnoticed revolution. By 2107, however, The Island is poised to become one of the most powerful states in the world, acquiring, most notably, the territory of Kamchatka. The Island Queen, Queen Katie of Kamchatka, with the help of her devoted Prime Minister and her faithful staff, then attempt to educate and train the 240 receivers of the distinguished Queen’s Ticket, both for their roles as skaters and within the Kamchatskiy organisation, for whom they will be working under a completely new concept in political economy, based on quality rather than profit motives, and which is replacing Marxism as the world’s rival to capitalism. As Gary progresses on The Island, and as its Queen seeks out her new King, the world is on the brink of a breath-taking transformation. 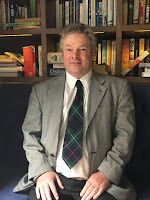 In addition to wishing to create a skating-themed book, I have sought to produce a story which, like Torvill and Dean's routines, was innovative and unique in nature, following a Utopian story line. I drew on ideas from various sources including, notably, The Prisoner, with the first names of the actors and actresses being used as a simple naming formula for the Island's Founders. Other ideas stemmed from the study of political economy, coupled with a desire to create a new theory that could potentially result in a kinder and more efficient system in a plausible way. I also wanted to introduce Quality Management, and particularly the work of W. Edwards Deming and Joseph M. Juran, and integrate this into the theory and story line. I very much wanted to find a way of bringing their work and teaching to the attention of a much wider audience, being of the opinion that it has been grossly undervalued. To the best of my knowledge there has never been a story written that combines both the artistry of skating and scientific and political concepts such as the ones incorporated into this story line and I very much wanted to create something different that will appeal to a wide range of readers in all age groups. There are many people who are eager to protest against capitalism, but seemingly very few who are willing to work to create a new and plausible alternative. Therefore, rather than protest I have opted to take the latter approach, forging a link between the concept of Utopia and that of Total Quality Management - both are never-ending journeys. 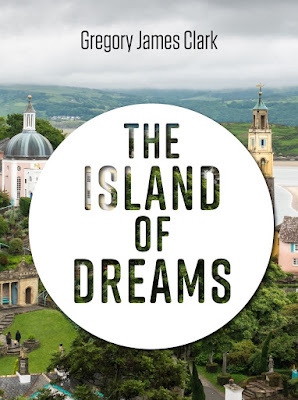 The Island of Dreams is intended therefore to be a lot more than a simple story centred on ice skating - complex social, economic, political and scientific concepts are explored and connected.